It is not a bad idea to have more space to store food by having a refrigerator in the garage. A refrigerator in the garage will give more space in the house. This option is limited to houses in regions that are not too chilly. For this technique to work effectively, environment temperature should not drop below the freezing point. When the surrounding area gets too cold, most refrigerators will stop working. Fruit, vegetables and meat can get damaged if the temperature drops below the freezing temperature. Remember that most freezers work best at a temperatures between 50 and 95 degrees Fahrenheit. Consider choosing the area of your garage where you want to install the refrigerator. Make sure there is enough space around the refrigerator as large items can block the airflow resulting in damage. Unexpected shutdown of a refrigerator when placed beside a heater or a window is also a very common problem. Consider plugging your refrigerator into a grounded insulated power outlet. It is advised not to use ground fault interrupter circuit for connecting the refrigerator to the power supply. These types of circuits are likely to have an impact on the power supply to the machine. Never use switch outlets to avoid unexpected shut offs. Temperature in your garage should be above 55 degrees Fahrenheit. Refrigerators will shut off if the temperatures drop below this point. So to avoid exposing your meals to environment temperature and spoiling food, it is recommended to check your refrigerator’s temperatures at least twice a day. Switching the refrigerator’s power/energy saver to the on position will let you save valuable electricity. During the hot summer, you can leave the power saver switched on to save maximum energy. Consider switching off the power switch in the winter. The method is also an effective way to keeping the moisture on the outside of the machine at a minimum level, thus reducing the chance of molding. Typically, refrigerators have a cup of water for placing a thermometer. It is recommended to check the temperature remains 34 and 40 degrees Fahrenheit to avoid damage to the food. 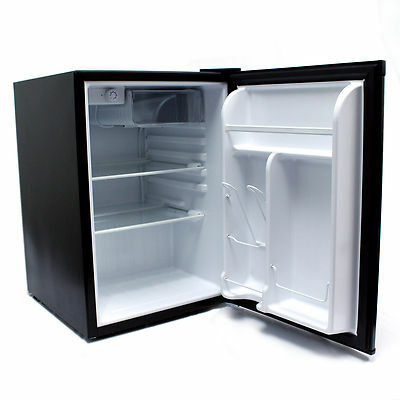 If you are not using the freezer in your refrigerator, you should maintain it at the warmest temperature as that will send more power to keep the temperature in the suggested range.